Valley Web Solutions started or rather had placed their first stepping stone with Web Application Development. Years of experience and unmatched quality framework has rewarded us with popular clients around the globe. 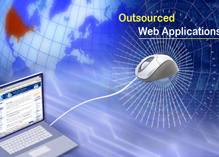 Valley Web Solutions with its exceptional cliente for application development in Kashmir. We take special care for customized web application development, which are tailored to the client's precise business requirements. We deliver incorporating rich internet applications combining our solid cross-vertical experience, technological expertise, latest trends and an inbuilt strategic framework based development methodology.